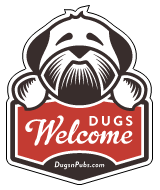 Dog Friendly Pubs, Shops, Cafes and Accommodation in Wester Ross, Scotland. Sitting at the head of Upper Loch Torridon in the shadow of the mighty mountain Liathach, Torridon Yourh Hostel is a fantastic base for exploring some of the finest mountain scenery in Europe. Dog-friendly accommodation is available for £5 per dog per night, so your four legged friend will be able to join in all the fun! Please book in advance to ensure that a dog-friendly room is allocated. For further information refer to the Dog Guidelines on our website. The Inn aims to provide you with friendly service, fabulous food, drink and comfortable accommodation. Well behaved dogs are welcome in the main bar area. Children (under 16) are welcome until 9pm. There are a total of 9 dog friendly listings in the Wester Ross category. Please log in, or sign up as a member to view all listings.